The momentum continues to build back to 30k! After the Horus Heresy Weekender in which we saw loads of great new models released and preview. Today we have a huge update to the FAQ and Errata for the Age of Darkness. 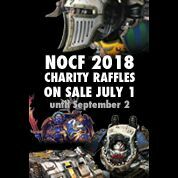 At the time of writing the Community site didn't have the latest version up but a link was available via Forgeworld on FaceBook. There are many small updates around wording and clarification. I have listed a quick breakdown on some of the bits that I felt stood out. Malcador Tank - no longer a super heavy, this is an interesting change but not something seen around all that much. Doubt this will change that. Augary scanners - back to 18" for infiltrators and for reserves. This is great, full range inceptor seemed a tad to harsh for certain armies. World Eaters - Angron got a very minor update, now has standard Feel no Pain. Gahlan Surlak has a clarification as well. Ultramarines - small wording change relating to playing with Guilliman. Looks like you could potentially lose another VP if he dies due to 'Rigid Chain or Command'. Though lets face it he is hardly easy to kill! Raven Guard - Mor Deythan gained Implacable Advance (become scoring). Cool change though they not sure how usual it really is. Alpha Legion - Headhunters, they didn't get the points reduction I felt they needed but they did gain Implacable Advance and Preferred Enemy (infantry). Dedicated transports also no longer remove infiltrate. Not quite as much as I had hoped for but making them scoring helps. Preferred Enemy is ok if you don't use Alpharius otherwise a bit pointless. Not losing infiltrate when in a rhino could be handy for keeping these guys alive. Mechanicum - Graviton Hammers have a profile update, I'm not very familiar with them so not sure what has changed. Space Wolves - Clarification regarding how apothecaries work with Warriors Mettle. Magnus the Red - He has a whole new profile listed. This is fantastic all the changes that were needed have now all been made and he is now what I expected him to be in the first place. The new Age of Darkness rule book removed Invisibility. This FAQ changes his negative to hit to a max 6+, this is still pretty annoying but at least he can be hit now! His super psychic powers are now an upgrade to his base profile and cost you 175 points more!! And to go along with this he has lost the ability to make them Destroyer attacks, and they only increase by a D6 in strength rather than 2D6. Acastus Knight Porphyrion - new profile. Not sure whats changed as I wasn't familiar with the last one. Special/named Dreads - check the list some can now take a Dreadnaught drop pod. We also have some new Playtest rules for several units. Rapiers - Quad launcher changes. Moritat - This looks good - 6 shots for each pistol type weapon. With Melta and plasma roll separately as soon as you roll a 1 the shots for that gun stop. The 'Chain Fire Overheat' rule has been removed. So plasma Moritat's look a bit stronger. Herald - gained Fearless and Implacable Advance. Plus they can now take Terminator armour. These look great now! Praevian - Legion Inductees rule has changed each legion now give one specific bonus as apposed to the whole of the Legion Astartes rule. Destroyers - these guys have benefitted hugely! Base points reduction, increase base attacks and hardened armour. Point reduction for extra bodies and upgrades. Jump packs now per model and not unit. Palatine Blades, Phalanx Warder, Medusan Immortals and Ashen circle all have new profiles. It looks like point reductions across the upgrade sections for these. I'm sure these will all be welcomed as they aren't seen all that much! Overall a great set of updates to the game. Magnus and the Destroyers are the highlights for me. I've seen Magnus arrive in a drop pod and knock out nearly 2000 points of stuff in one power so this update is very welcome for the community. I've always liked the look of destroyers but they have always been over costed for the rules, now they look great. All this excitement around 30k has started to get Bunnies refocused on the Horus Heresy so look for more content coming up soon! Whats your favourite change from this update? Yeah they look a lot more viable now! Great point reductions! If only!! Fingers crossed for the next FAQ! I’m looking forward to using the Palatine’s a lot! They are the big winners out of this! I’ve always wanted some but never seen the point! Now I want some! Question is jump packs or not? If Death Guard: Nah, we’ll walk. ECs on the other hand, Jump packs. We’re excited to see more 30k as well! 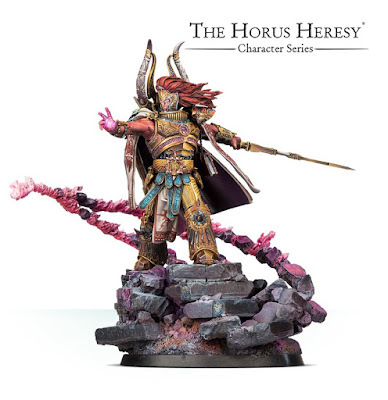 We are definitely getting our 30k hobby focus back! My favourite changes are the rule for Salamanders "Nocturnean Born", finally you don't get sweeped in the moment you lose a fight and the Palatine Blade, cheaper, with cheaper jump packs and the option to wear artificer armour (little too expensive this one imo)...great work by FW, I hope they will continue pushing the Heresy with this enthusiasm!! And you too bunnies, I missed your articles so much lately!! That is a great change, I don’t really know the salamader rules so I wasn’t sure what was different! But that is awesome news. I had missed the artificer on the palatines...so thank you!! World Eaters will loooove those Destroyers. 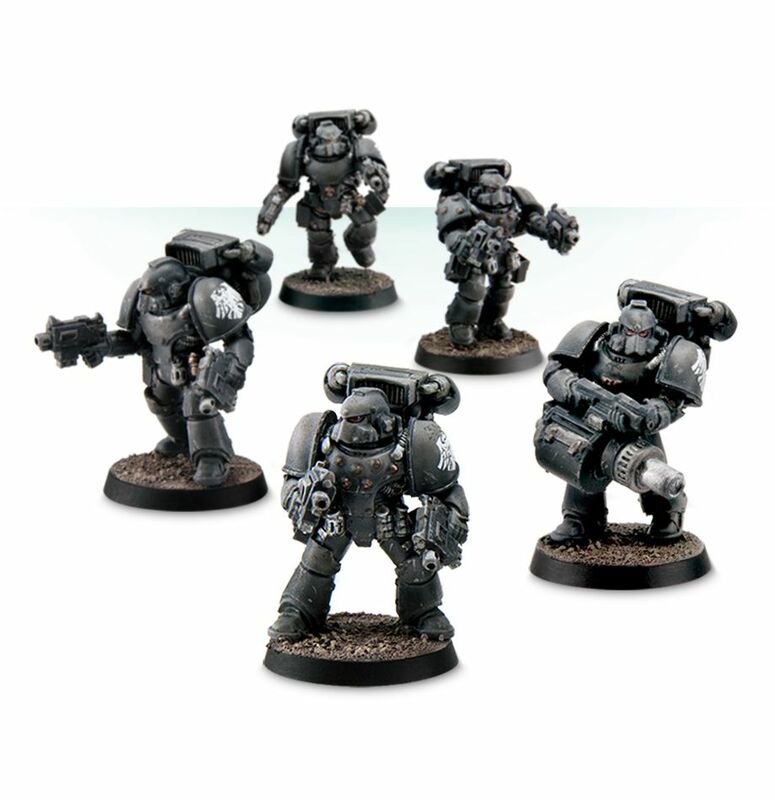 Not strictly an FAQ question but any idea how you would incorporate a single space wolf squad (like the watch packs sent out) alongside the rest of an army? I play Salamanders and Iron Warriors and was thinking it would be fluffy to have a watch pack alongside them!! I would think using the standard Allies rules would work. Though you would need an HQ to do that. Soooo I would go with a pretty much standard centurion as your HQ this would be your ‘watch pack leader’. Then go with your grey slayers to fill your required troop choice, kitted as you like. Though I think vets would be better suited to act as a watch pack but I can’t think of a way to make that work due to them not being troops! If your opponent is in agreement then go the vet route with weapon masters perhaps. It would allow you to run a few less models which seems better for the watch pack. Thanks. Yeah it seems as HQ plus unit would be the minimum required but trying to keep it to just a squad like the fluff and got pointed online to a community that had made some watch pack rules they did for their own campaign that seem pretty good, obviously asking opponents permission otherwise so might give them a go! If anyone is interested I found a group on Facebook (Mournival Events) based in Australia but they have a pdf of unit rules they have created and a watch pack is one of them and the rules seems pretty balanced to me! Just join the group and pdf is avaliable. I asked after joining about using there rules and they are perfectly happy so thought I'd share this! Awesome, thank you for sharing I will definitely check that out! No worries. Let me know what you think of their rules! They look good! I think the only thing possibly missing would be a restriction on needing to be fielded with a primarch and needing be near them at all times, as they are meant to be watching. But then again I guess some would never have made it to there target so that might be too restrictive! I thought this as well. But couldnt think of a way of enforcing that! But personally I'd only field them alongside Vulkan anyway. But I don't see an issue fielding them without a primarchs as the rules seem fair! Just need to build me a squad now!! Do wish they had the option to include a rune priest though! I did originally think they may be a bit good if they wondered around on there own but I think I the lack of invun would rebalance that concern. Would be great to play test, let us know if you do and how you get on! I've printed off their rules and intend to ask around my local GW and FLGS if people would be happy playing against them so will let you know! Phalanx Warders just got a bit more interesting! Yeah they did!! It’s a lovely upgrade kit so it will be good to see them getting more tabletop time!